Running a business in today's technologically advanced world can be both exciting and extremely challenging. As a resume writer, you have all of the pressures of staying competitive within the careers industry while also staying current with the trends going on in society -- especially the trends in online marketing. Having a properly planned and optimized web presence is no longer a nice to have. If you want to have long-lasting success as a resume business owner, your business needs to be online -- and it needs to be in all of the various formats of online exposure. But how do you know where to start when there are so many components to online marketing and such little time to dedicate to it? of system that is being presented to you here today. 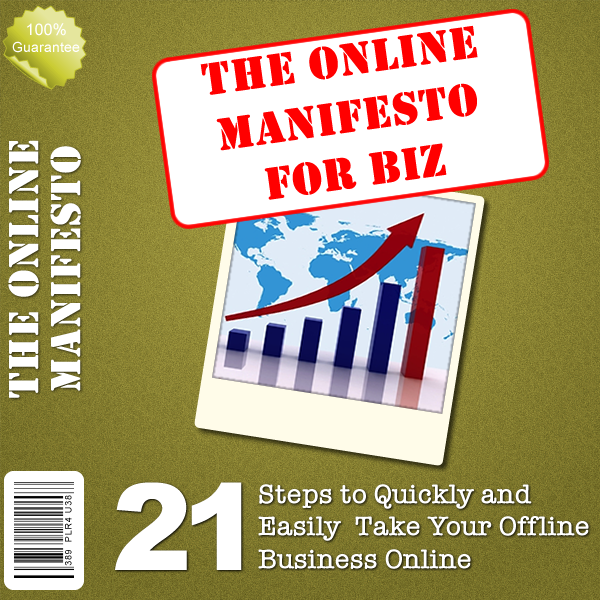 The Online Manifesto for Biz is a 21-step program that shows you the most critical components required to successfully bring your offline resume writing business FULLY into the online world. With so many websites, social sites, and advertising platforms available for businesses to make their mark online, it is very easy to get lost and make costly mistakes. 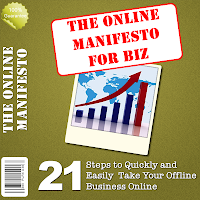 The Online Manifesto has been designed to cut through the clutter, focus on what works, and deliver it to you, the REAL business owner, in a way that can be easily understood and implemented. Step 4 — Why Blog? If you purchase the Online Manifesto for Biz by Saturday, April 30, you'll pay just $7 (50% off the regular price of $14). You'll also receive the Best of the Conferences Special Report (an $8 value) as part of my Lent Special -- for free. 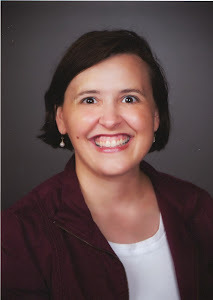 Guest blog post from Monica Shah. Recently, I wrote a blog post on the three numbers that you must track in your business. What an amazing question. This used to happen to me all the time. I would make clear goals, keep track of money and know my numbers, but I just wasn’t filling my practice, selling enough products, or filling my groups. Furthermore, bringing in consistent income was also incredibly hard. I found the whole thing royally frustrating. Now that my business has matured, I can clearly see what was causing these results. If you’re out there, creating your goals and dutifully following your numbers, but you still seem to be missing the mark, then I’d like to offer a 5-step clear action plan that will bring you more money and more clients. Figure Out Your Numbers. Let’s say you want to fill your practice with 10 new clients by the start of July. That means you need to get about 3 new clients every month. Please avoid assuming that if you think about that number hard enough or clear your emotional blocks long enough, the clients will just flow in – that is what I call “magical money thinking.” The first step is to make a clear action plan around how you are going to meet 3 new clients this month. It’s all a numbers game. Let’s assume for every 2 sales conversations, you sign one client. Let’s also assume that for every 3 people that you ASK to do a sales conversation with, 1 says YES. That means you need to get yourself out and about so that you can meet or interact with at least 18 people this month who you’ll ask to do a sales conversation with you. And you will do six sales conversations in order to hit your 3 client goal. 2. Create an action plan to connect with new people. Ok, now you need to decide how you are going to meet at least 18 people new people this month. Don’t worry, it’s not as hard as it seems. First start with follow-up from your own list and other business events that you haven’t done yet. This is what I call a low-hanging fruit list. Make a list of people that you can contact that you’ve already met or who have expressed working with you in the past. Ask them to do a free meeting or initial session with you. Let’s say you find 3 people to ASK. Second, plan your networking events. Let’s say you meet on average 4 people at each networking event. That means you’ll need to go to at least 3 networking events this month. That is 12 new people to ASK. Third, plan a workshop. Let’s say you get an average of 3 free initial sessions after you do a workshop. That means you’ll do 1 workshop this month. That is 3 new people to ASK. Now you know how you are going to meet your 18 new people to connect with this month. This is the most important step. Now find 3 real networking events and put them on calender ahead of time. It may be helpful to put six on the calender, just in case you can’t make some of them. Also, locate a place to do a workshop on your topic area and get that on the calender. Commit to these events. No getting tired or shy when the day comes to put yourself out there. The more consistent you get about doing this kind of plan and actually following through on it, the more consistent your income will be. 4. Follow this Plan, no matter how advanced you are in your business. For those of you out there that are planning group program launches, product launches and the like. You can use this same plan. Here are the differences. For a launch, you want to start planning 8 weeks out from the launch. That way you can get your copy written and get the pages up on time. Next, use the same steps to determine your numbers. In this case, you want to add some online joint ventures, social media marketing and teleseminars to your connecting efforts. I think it is important, especially for new business owners with small lists, to combine offline marketing like networking and workshops with online marketing like teleseminars and joint ventures. You’ll connect with more people that way. Put everything on the calender and stick with it. Please realize that consistency is important. The first time you create an action plan like this, it may not work so well the first month, even though you follow it to a T. However, by the third month, seeds that you planted in the first month will start to sprout. This is even true with your first launch of a group program or product. Sometimes it takes two times through before people start to notice you. Just stick with it – consistently making action plans and following through on them. When I do a VIP day with my clients, where I work intensely with them for 6 hours, we create a 12 month action plan so that they know exactly what to do each day, each week and each month. I highly suggest everyone has a plan that they are following that goes out at least 60 days. As you can see, knowing the numbers is only 50% of getting results. The other 50% is creating a smart action plan and sticking to it. I hope this helps you to see specifically HOW you start to create such a plan. Leave me a comment and let me now how this lands with you. Monica Shah, MBA, is the Breakthrough Business Specialist. 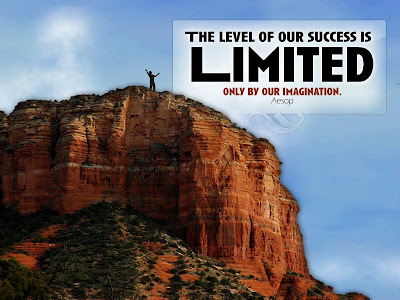 Her M.O.R.E M.O.N.E.Y system effectively teaches women to take their passion-based business to six figures and beyond. Would you like to learn how to run a business that you love while creating the lifestyle you deserve? Check out her website http://www.RevenueBreakthrough.com, for free articles and resources and to sign up for her free report "5 Simple Steps to Double Your Income in 60 Days or Less." The first two posts in this series outlined the advantages of a blog to drive traffic to your website and helping brand you as an expert. The third advantage has to do with your website making you money directly. 3. Money making potential: There are going to be lots of people who come across your blog who don't turn into resume or career coaching clients. You can make money from your blog by getting them to purchase your affiliate offers -- but you can also make money from them just by virtue of them visiting your site -- through advertising revenue. If you are getting a lot of traffic to your blog, you can sign up for a service like Google AdSense which will place relevant ads on your blog posts. Every time a person clicks one of these ads you will be paid. There are also tons of affiliate offers out there. On a site like Clickbank, you can sign up and promote other people's products on your site. This works especially well if the product is relevant to your content. You might even get the opportunity for selling your own ad space. You can sell ads directly on your blog -- you might partner with a local service provider (for example, a mental health therapist who offers career assessments) and sell them ad space on the blog. 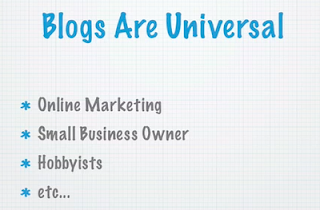 Blogs have moved beyond the realm of an online diary and yes it seems like everyone has a blog. Those aren't reasons for you not to do it, especially if you want to succeed as a professional resume writer and/or career coach. 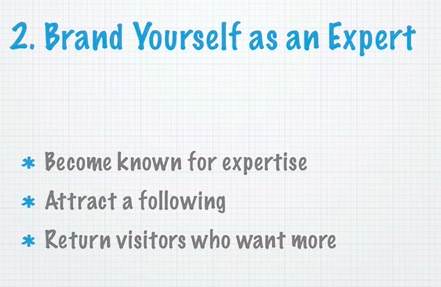 More traffic, brand yourself as an expert and make some money...who wouldn't want that? In yesterday's blog post, we looked at the first advantage of blogging, feeding traffic to your resume writing or career coaching business website. The second advantage has to do with positioning yourself as an expert. 2. 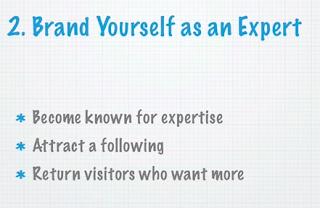 Brand yourself as expert on a topic: This is also a great benefit for professional resume writers and career coaches. 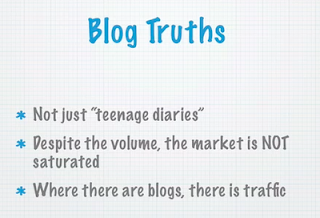 If you are constantly blogging helpful advice about a certain topic -- you will eventually begin to gain followers. If your information is high quality, people will begin to look at you as an authority on your subject. Once you are looked at as an authority on the subject, you will instantly gain the trust of your blog readers. They will come back and be loyal visitors. Loyal visitors means you can funnel them to become clients or even tempt them with affiliate offers. Next up in the series: Making money directly from your blogging efforts. 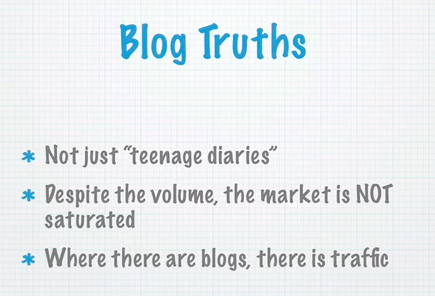 Despite what many people think, blogs aren't just "teenage diaries." While there are a number of blogs out there these days in the career industry field, the market certainly isn't saturated. Competitiveness in a market just means there is traffic to be had and money to be made...if you want it. Creating a blog in this day and age could not be easier. There are literally hundreds of completely free blogging platforms available to people. So why not give it a shot? 1. Feed traffic to your resume writing business website: If you have a website for your career industry business (resume writer, career coach), adding a blog to that site or even on its own domain is a smart move. 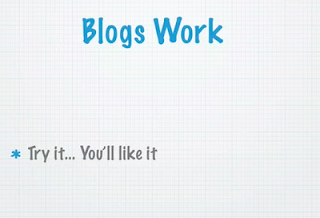 Blogs are based on dynamic content -- meaning the content is fresh and regularly added. 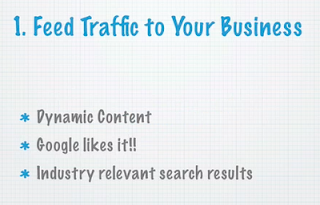 Google likes fresh dynamic content. If you are blogging constantly about things related to your business you will naturally begin to start ranking in Google for some long tail keywords. 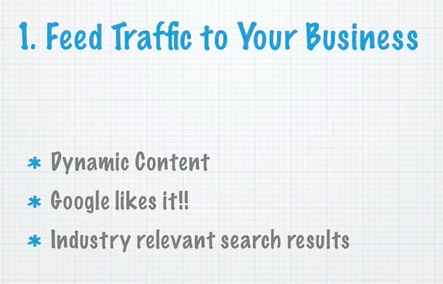 This means you will be picking up web traffic that your static business site wouldn't have. If your blog is part of your business site then that will mean more traffic directly to your site. If you have your blog on another domain -- you can use links and banners to direct the traffic to your business or "money" site. Tomorrow: Using a blog to showcase your expertise. 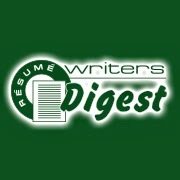 Resume Writers Digest Receives CMA Mentorship Award! I found out on Thursday that I received a Career Management Alliance Mentorship Award! The Career Management Alliance honors those individuals who have guided others in tradecraft, entrepreneurship, and community-building. Through teaching and example these mentors have inspired their colleagues and generously shared their wisdom. Kathy's nomination (which she so kindly sent to me), was centered around my efforts to educate and inform resume writers through the work of Resume Writers' Digest -- including this blog. So thanks to all of my readers and subscribers too! Promote your blog? Why would you want to do that? Honestly, if you have to ask yourself that question you probably shouldn’t even have one. The whole purpose of a blog is to document your thoughts, views, and opinions on a particular topic, issue, or subject -- on our field, most likely job searching. What good will your blog do if no one reads it? In addition to sharing your thoughts with the rest of the world, did you know that you can make money from your blog? 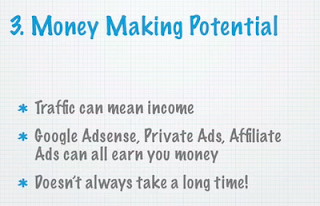 You can signup for affiliate programs or derive revenue from advertising programs like Google Adsense. And, of course, prospective clients who read your blog may decide to retain you to write their resume. If you are using your blog to make money, then you will defiantly want to promote it. When it comes to promoting blogs, there are many blog owners who decide to let search engines do the work for them. Search engines, such as Google, Yahoo, and Bing use a special technique that reads the content on your website. That content is then used to rank your website with particular keywords. This means that you run a blog on job searches in the finance field, there is a good chance that your blog will appear in searches done on "finding a job in finance." Although many blogs are successfully ranked in search engines, not all are. That is why you are advised against relying solely on search engines, when it comes to promoting your blog. If you love meeting with or talking to people online, there is a good chance that you belong to a social networking website or community. The individuals that you talk to and that are in your community are likely the individuals that you wish to target. Since most social networking websites work to connect Internet users who have the same goals and common interests, there is a good chance that your online friends will enjoy reading your blog. But, before they can read your blog, you have to let them know that it exists. When it comes to promoting your blog on social networking websites, you have a number of different options. Your first option is to include a link to your blog in your community profile or profile page. This will allow other community members to check out your blog. The other way is to inform your online friends of your blog through private messages. Once you join a social networking website and create or join a network of friends, you should easily be able to communicate with those friends. Sending each of your friends a private message with information and a link to your blog tends to be more effective than just placing a link in your profile or on your profile page. Social networking websites can benefit all website owners, but especially resume writers who are looking to make a profit from visitors to their websites. This can be done one of two ways -- by selling something on the website (resume writing services, career coaching, job search packages, or affiliate products) or by relying on revenue from advertising (a handful of resume writers run websites that provide job search content supported by advertising revenue). If you have a website that selling products or services (as opposed to a content site that depends solely on advertising revenue), you may find it a little bit easier to use social networking sites to your advantage. This is because, if you wish, you could do product or service spotlights. Each day, week, or month, you could showcase one of the products or services that your website sells. This could either be done through status updates, Tweets, or blog posts. If you are using your online website to make money with advertising programs, such as affiliate programs or Google Adsense, you may need to approach social networking websites in a different matter. Since you will not necessarily have a particular product or service to focus on, you will need to approach these websites as if they were personal websites. As with all other types of online websites, social networking websites should help to increase the number of page views your website receives. In most cases, more page views mean more clicks -- which means money for you. This is the third post in a three-part guest series of articles by Jimmy D. Brown. This post focuses on getting e-book ideas from magazines... using Magazines.com. After visiting the world's largest search engine and the world's largest bookstore, it's time to take a quick stop at the world's largest periodical store, Magazines.com. You'll find every imaginable magazine listed at this site. The interesting part (and useful to you as a research tool) is this: you'll also find the COVER of usually a recent copy of each magazine. There aren't a ton of magazines (any??) geared towards the job search, but browsing through the categories of magazines on the site, you can find some magazines that will spur some ebook ideas. For example, looking through the "Women's" category, I came across "Working Mother" with this cover tease: "Get That Job: Surprising Interview Tips." Your ebook could be on "Surprise Your Job Interviewer With Your Preparation" and it could cover how to research the interviewer and the company using free Internet resources. Each of the "cover stories" you find represent an idea for your next ebook. The best part about it is this: the publishers of these magazines have done the research for you! They've measured the level of interest for these ideas and found it high enough to warrant not only writing content about them, but referencing that content on the cover of the magazine! That's your hint: People want this information. So, there you have it in this blog series -- three "idea hangouts" where you can find ready-made, in-demand, red-hot topics for your next ebook for your job seeking clients. A few weeks ago, I put together a five-part series on affiliate marketing for resume writers. Another source of affiliate income is with Amazon Affiliates. I suggest you set up an account with Amazon Affiliates and build a “Recommended Resources” page on your website, featuring links to books that you’re featured in, that you’ve written, and/or that you’d recommend to clients. While this isn’t a large income source, you are doing clients a favor by offering your recommendations, and any sales you make are gravy. You can also use your Amazon Affiliates link to include book links and graphics in your blog posts, especially if you use Blogger. I’ve found my top two book recommendations that have led to sales are Jason Alba’s book, “I’m on LinkedIn, Now What?” and “Career Distinction,” Kirsten Dixson and William Arruda’s book on personal and career branding. I also used to sell a couple of copies of “The Insider’s Guide to the World of Pharmaceutical Sales,” but that hasn’t been published in a few years. If you have a blog geared to job seekers, I’d recommend doing regular book reviews — review books you’ve read and then include links to your Amazon Affiliate site. You can also excerpt your reviews on the book’s page on Amazon directly, which will help increase your “Digital Distinction” rating — and if you don’t know that that is, you should read Career Distinction.